Even after seeing Gongsun Yun’s sorrow, Bai Xiaochun still didn’t tell him the truth. There was no way he could. How could he possibly explain that Gongsun Wan’er had actually been killed long ago in the Fallen Sword Abyss? It would be too cruel to tell Gongsun Yun that the little sister he had seen afterward was really that bizarre girl. Bai Xiaochun simply couldn’t bear to deliver such a bitter blow. Instead, he told Gongsun Yun a story in which his sister sacrificed her life as a hero. The story he told wasn’t without its flaws, and apparently Gongsun Yun realized that. But he didn’t ask any follow-up questions…. “Little sis, was that really you who came back to the sect…?” he thought. The truth was that he had asked himself that same question on many occasions, and didn’t really want to know the answer…. After Gongsun Yun left, Bai Xiaochun felt even worse than before. He didn’t like feeling like this. He liked being happy and having fun. However, as he grew up, he realized that such emotions were inescapable. Oftentimes in the past, he was able to bury such feelings, but right now, all the graves he had seen caused Zhou Xinqi’s face to float in his mind even more clearly than before, as well as many other familiar faces. They were images he simply couldn’t dispel. At the moment, no other patriarch in the sect had a better chance of becoming a deva than Patriarch Spirit Stream. He was in a better position than even Patriarch Blood Stream. Patriarch Spirit Stream could sense the bleakness of Bai Xiaochun’s mood. As he looked at him from a distance, he could tell from the fluctuations of his divine sense how sorrowful he was. Although he didn’t understand Bai Xiaochun as well as Li Qinghou did, he had been there to watch him grow into the person he was. At some indefinite point, he appeared next to Bai Xiaochun, although he didn’t interrupt him. He just stood there, looking at all of the graves of the River-Defying Sect. Eventually, when the time was right, he spoke in a hoarse voice filled with age. Bai Xiaochun had long since become aware that Patriarch Spirit Stream had come to stand next to him. However, he was in too bad of a mood to say anything. In response to the patriarchs words, he looked around. The sect was filled with a buzz of noise as all sorts of repair work went underway. Everyone was toiling away. Although nothing dramatic was happening, close examination revealed that the sect was rapidly returning to its previous state. It wouldn’t be long before it thrummed with just as much life as before. As for all of the disciples of the three sects who had been captured, they were important bargaining chips that could either be absorbed into the sect as new disciples, or traded with the three sects for remuneration. “Do you know what’s different?” Patriarch Spirit Stream asked again. “Do you know why all of the disciples are working so hard? Do you know why they are all so focused…? Because this isn’t just their sect. It’s their home! “Spirit Stream Sect. River-Defying Sect. It doesn’t matter. They’re the same. The good fortune of the disciples is the good fortune of the sect. That’s the most important thing. As long as the disciples have enough faith and trust in the sect, then… the sect will be their home! “And the truth is that our sect… is a home to all of us, patriarchs included!” Patriarch Spirit Stream was very, very old, and in fact, if it weren’t for the fact that he relied on a special secret magic, he would have long since perished. Perhaps because of that secret magic, or perhaps because of the dramatic events that the River-Defying Sect had seen in recent years, his face was covered with even more wrinkles than ever, making him seem even more ancient. At this point, Bai Xiaochun’s mood stopped sinking. However, there was still something gnawing at his mind. Slowly but surely, he looked over at the patriarch. “Patriarch… don’t we cultivators practice cultivation so that we can live forever? Why do we have to go around fighting and killing all the time? As long as we're alive, there are endless possiblities! But once we die… then what’s the point of it all…?” This question had been lodged deep in Bai Xiaochun’s heart for many years, and would not go away. It was a profound question, and in response, Patriarch Spirit Stream simply stood there quietly for a moment. The truth was that he didn’t have an answer. A long moment passed, and he seemed to grow a bit older. Then he looked back at Bai Xiaochun, his eyes warm but tinged with pain. It was pain because of the sorrow he felt for his most outstanding of all the Spirit Stream Division disciples. After all, he knew that from the first day Bai Xiaochun had joined the sect, he had feared death and dreamed of being able to live forever. Patriarch Spirit Stream had watched this disciple tackle the brutal cultivation world, and yet never forget his dream of living forever. There was a purity and innocence in that which was very, very rare. “Xiaochun…” he said softly. “You’re right. As long as we’re alive, there are endless possibilities. But just because we die doesn’t mean that our hopes and dreams die with us! “What do you mean Dao?” Bai Xiaochun replied, confused. He had been asked a similar question back in the rainbow trial by fire in the Starry Sky Dao Polarity Sect. And although he had never answered the question, he had the vague feeling that his Dao… was to live forever. “The word Dao is profound and deep,” the patriarch answered. “No one can really explain it perfectly…. As for me, only by living for many, many years have I been able to experience what it means…. “Dao is focus. Think about all of these heroes who fell in battle. Do you think they weren’t afraid of death? Do you think they didn’t want to live forever? They were afraid. And they did want to live forever! But the sect was their home, and they were fighting to defend and protect it. They were willing to sacrifice their own lives, even to the point of giving up on their own wishes and desires. No matter how much it pained them, they swore to die defending their home! “As for me, I long since made up my mind. Even if everyone else managed to escape, I would stay behind. If our sect goes down in flames, I will go with it! “Isn’t it the same with you, Xiaochun…? Back in that battle in the Luochen Mountains, why did you go back to save your fellow disciples? Didn’t you know that if you went back, you might die? 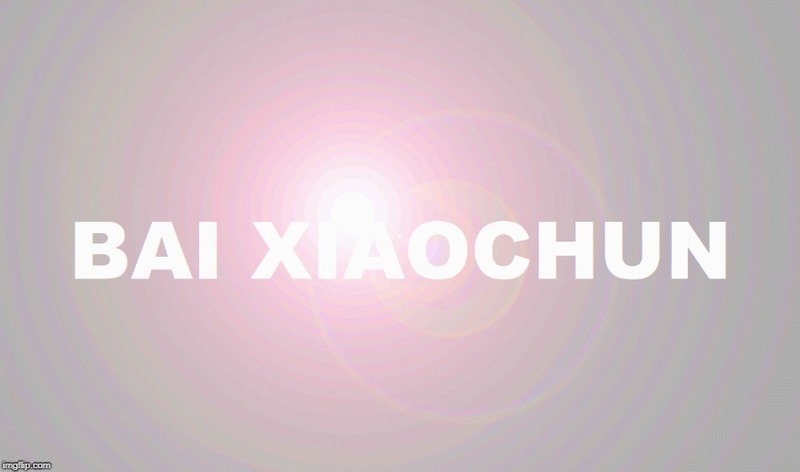 The words struck Bai Xiaochun’s heart like a lightning bolt. He had never thought of questions like this before, and wasn’t even sure how to answer them. The truth was that in the sect’s moment of impending doom, he hadn’t been thinking of anything. He just couldn’t stand to watch it be wiped out in front of him, and had felt he had no choice but to advance into battle. As he pondered these matters, he was suddenly struck by a revelation. Although his focus in life was to live forever… there were too many other things in the world he cared about. He couldn’t simply forget about those things, and that meant that, even if he didn’t like it, sometimes he had to resort to fighting and killing. It was like a natural law of heaven and earth. When danger threatened his friends, his family, his sect, or his home, then it didn’t matter how much he wanted to live forever. He would always do the same thing! He would always make the same choice! “Life and death….” Considering how many years Patriarch Spirit Stream had lived, and the state of his longevity, when he talked about life and death, it somehow seemed more meaningful. “Sometimes, you might be alive… and yet be dead to certain people…. “And sometimes, you might be dead, and yet be alive…. Zhou Xinqi perished, but she lives for all time in Shangguan Tianyou's heart! That black dog is dead, but exists eternally for Beihan Lie! “Look at all the names on these graves, Xiaochun. These disciples died in battle, but from now on, everyone in the River-Defying Sect will remember them! Who will ever dare to forget them! ?” Patriarch Spirit Stream spoke with decisiveness that could sever nails and chop iron. His words were like a thunderclap that resonated in Bai Xiaochun’s mind and heart, causing a tremor to pass through him. It was almost as if a door had been opened inside of him, making certain thoughts and feelings which had once been obscured to suddenly be as clear as day. His eyes flickered with enlightenment at the profound implications of the words which had just been spoken. He suddenly felt as if he understood the meaning of life and death, and also understood why he would always make that one particular choice. It was because… of focus! Although grief still existed in his heart, the more he thought about his new understanding, the more that grief resembled respect. Then he clasped hands and bowed deeply to all of the graves! Even after a long moment, he didn’t rise from his bow. “I understand now, Patriarch….” he murmured. He was bowing to those who had died in battle, to their sacrifice, to their fearlessness. He was bowing… to the souls of true heroes! As long as the sect existed… then these disciples who had fallen in battle would live in the hearts of the sect, for all eternity! They had died, but would exist for all time!